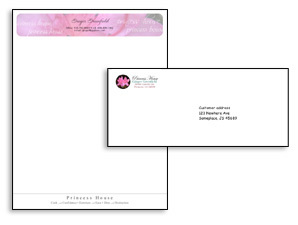 Brand Identity includes Letterhead/Stationary which are samples below. We also do letterhead layouts for your use. We can either have them printed or create a Microsoft Word Template. That way you can print the letters with the letterhead layout directly from your color printer.